Do you want to take a vacation in the Caribbean? Blessed are you, but have you wondered; what are the hottest spots in the Caribbean, those which must be visited? So here are seven locations in the Caribbean not to be missed, each has its own peculiarities, also depends on the type of trip you want to do: peaceful, festive, want to focus on diving, prefer lounging on the beach, you want to go hiking … here is something for everyone. 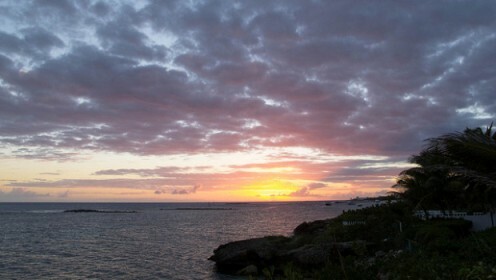 We start from Anguilla, Here you’ll find some of the best views of the Caribbean. Apparently it is a very popular for Golf Club, is called CuisinArt Golf Club: sand dunes frame the hole number 16, around the hole number 18 you will find overlooking lush vegetation, spa and massage and good food are the masters for those who do not want to work hard on the green meadows. St. Maarten, however, is for those who love the sea, you can sail the blue ocean on a catamaran, see the nesting sites of sea turtles, remain enthralled to see the play of the waves. It is a very romantic place, so also suitable for couples and no shortage of opportunities for all sailing fans. Let’s move to Curacao, here you will find a wooden pontoon float supported by 16 vessels known as the Queen Emma Bridge in Willemstad, also known as The Swinging Old Lady. It is a wooden pontoon float, real magnet for all romantics who come from every corner of the planet to pose and take some shots. It has been entirely restored, whereby it was restored to its former glory and offers breathtaking views. Could possibly miss the Jamaica? Here you will be spoiled for choice. You can dedicate yourself to the sea, but you can also relax with trekking, crossing the rainforest to get to the cliffs and coves of the hidden Caribbean Sea. And the lazy can always hire some means to take them to their destination. Are you looking for peace and quiet? Then St. Kitts is what it does for you. At Romney Manor there is a rain tree older than 350 years, a veritable giant: relax from the serenity that comes from its shadow. It seems that the old manor house was once owned by Sam Jefferson II, ancestor of Thomas Jefferson, who was also the first to emancipate the slaves on the island. There is plenty of room under the branches of this tree, you should not miss. Go to the Caribbean and do not take a trip to Bermuda? Indeed, the more adventurous can try their luck maybe doing a walk in boat or plane in the Bermuda triangle. To tell the truth to admire the numerous Moon Gate that doting the island. Legend has it that a sea captain built the first in 1860 after having seen one in China with a sloping roof that was meant to represent the moon in the summer sky. It seems that walking through these circular structures of stone decorated with flowers bring a long life and a bright future.